Severing diplomatic ties with Qatar, Bahrain's foreign affairs ministry on 5 June issued an advisory for all Qatari diplomatic staff to leave the country within the next 48 hours and also issued an 14-day ultimatum to Qatari citizens to leave Bahraini territories . Bahrain has accused Qatar of supporting terrorism ,media incitement and funding linked to Iranian groups to carry out sabotage and spreading chaos in Bahrain. Bahrain said it would withdraw its diplomatic mission from the Qatari capital of Doha within 48 hours and that all Qatari diplomats should leave Bahrain within the same period. The ministry's statement has also given 14 -day ultimatum to Qatari citizens as they have to leave Bahrain within two weeks and that air and sea traffic between the two countries would be halted. Bahrain has announced it is cutting all ties and relations what so ever with Qatar, according to a statement carried on Bahrain News Agency. Bahrain decided to sever all diplomatic ties with its neighbor "on the insistence of the State of Qatar to continue destabilizing the security and stability of the Kingdom of Bahrain and to intervene in its affairs". 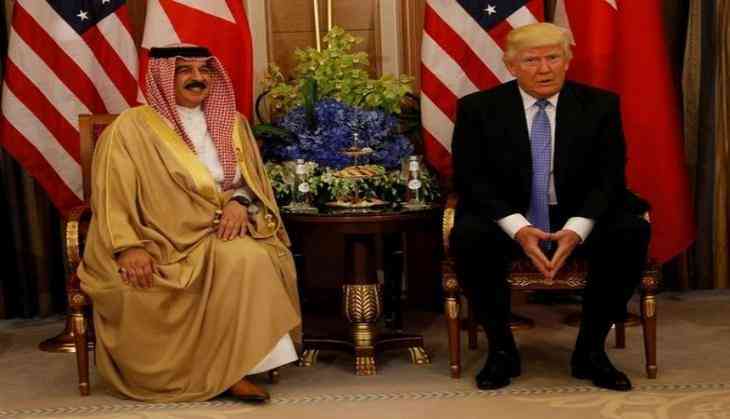 "(Qatar has) spread chaos in Bahrain in flagrant violation of all agreements and covenants and principles of international law Without regard to values, law or morals or consideration of the principles of good neighborliness or commitment to the constants of Gulf relations and the denial of all previous commitments," the statement read. Qatar is the world's largest exporter of liquefied natural gas and has extensive air links with he group of countries that have snapped diplomatic ties. Saudi Arabia, the United Arab Emirates, Egypt and Bahrain have broken off diplomatic relations and all land sea and air contacts with fellow Gulf Arab state Qatar over terrorism and extremism. Riyadh accused its fellow Gulf Arab state of backing terrorism and extremism while Bahrain has charged Qatar of interfering in Bahrain's internal affairs.